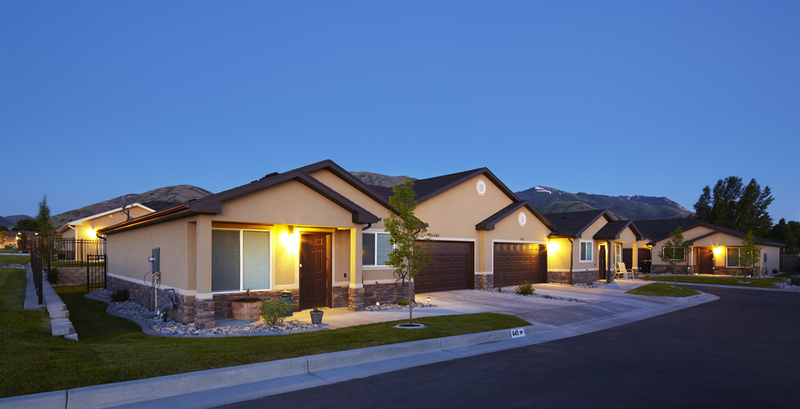 This beautiful community, nestled in Cache Valley, Utah, consists of 220 newly constructed townhomes each with 3 or 4 spacious bedrooms, 2 bathrooms, a 2-car enclosed garage, and private fenced yards. Residents enjoy a state-of-the-art fitness center, community center, playgrounds, gazebos, and basketball courts. Fully accessible ADA compliant units are available to meet the needs of the entire community. A quality of life found only at The Springs at Logan River. ...and discover the beauty of living in The Springs at Logan River residential community. Nowhere else in the Logan area will you find such a high-quality rental lifestyle that feels like living in your own home. With private garages, enclosed backyards and state-of-the-art amenities it’s hard to believe rent is this affordable. Ranging from $273 - $751 a month for 3 bedroom homes and $282 - $726 a month for 4 bedroom homes depending on household income, The Springs at Logan River provides a quality of life unmatched by any other affordable housing development in the area. We also have 3 bedroom market rate units available that are not based on income. Please call for rents on the market rate units.